Gold, Silver and Oil are some of the examples of raw materials that are involved in commodities trading. Global commodities trading is probably a very important part of the economy and the society as well than most people imagine. Trading commodities, as well as commodity prices, affects each and every one of us despite not putting much thought into it. Learning how to trade commodities can be a great way to learn how the prices of raw materials affect our day to day lives. Good examples of how commodities trading affects us as individuals include; When the price of crude oil goes up, it becomes more expensive to drive and public transport fare goes up as fuel becomes costly. Food prices also skyrocket when a commodity such as corn becomes more expensive. The prices of the mobile phones we use also increase when the prices of the metals used in their manufacture go up. All in all, raw material price movements affect us in one way or the other. People have managed to create a niche as well as money in business fields such as stocks and the forex. This is because these fields have variable prices that they can take advantage of. The same applies to commodities trading. Investing in commodity prices can be done in a number of ways including buying securities in the form of futures or the speculation of the prices of ETFs. Here, we will explain how exactly commodities trading works as well as what exactly raw materials are and the best way to deal with them in the sector. According to the English dictionary, a raw commodity is a product that has not been refined and is sold in its natural form. A good example of a raw commodity is flour with it’s refined or finished product being bread. Flour can also be classified as intermediate goods in other situations. Metals, as well as crude oil, are classified as raw materials and their end products can be screws and nails and gasoline. All these raw materials among others are involved in commodities trading. The commodities trading industry is rather large and vast and it trades billions of dollars every single day. CFD, short for contracts for difference, is a popular way of investing for day traders. There are quite a number of raw commodities out there that range in their hundreds. To make commodities trading easier, they have been divided into four major categories. The four major commodities trading categories are metals, which comprise of materials such as platinum, gold and silver, energy, which includes commodities such as crude oil and natural gas, livestock and meat, which include pork bellies, live cattle and lean hogs, and last but not least, agricultural which includes corn, cocoa, wheat, rice and coffee among others. Some commodities trading markets have divided the raw commodities into two categories namely, hard and soft. Hard commodities include those that are excreted out of the earth such as metals and oil. Soft commodities include everything else, for example, cotton, cocoa, coffee, and corn. Commodities trading is a rather simple practice. You are tasked with predicting the direction of the prices of the commodities. However, it is an activity that you should not venture into without doing proper research. Analyzing the market as well as mastering different investment techniques requires a lot of research as well. Commodities trading gives you the chance of getting some great opportunities in the business world. Learning how the system works and an understanding of the factors that affect the market will set you well on your way to mastering commodity trading. Commodity Trading is ideal for both fast and long-term business investments. We recommend that you give commodities trading a go since it has the potential of being a rewarding business venture. The buying and selling of commodities are rather satisfying and it is advisable that you do this in conjunction with stock trading since the commodity prices tend to go in the opposite direction of stocks. In other words, this means that you can still invest even when stock markets are on the decline. When it comes to commodities trading, a commodity market can either be a physical one or an online one. Here, you will find over 50 markets that you can check out to begin your venture. With more than 100 different raw materials that are in the commodities trading market, the market you choose to use will strongly depend on the form of investment that you choose. Commodities trading cannot be considered to be the same as other financial instruments and it has its own market and investment technology. The buying of raw materials is done with a combination of different investments and below we have compiled a list of the most common commodity trading techniques. Futures / Forwards – Futures is one of the most popular ways to practice commodities trading. The future is an agreement or a contract between a seller and a buyer that obliges the buyer (in this case you)to buy a commodity at a certain time in the future and sell it for a predetermined price. Futures can be used in the purchase of every commodity category. ETFs – ETFs is short for Exchange Traded Funds and they are another way of investing in commodities trading. The commodity ETFs track the price of a single or group of commodities by using futures contracts. When it comes to ETFs in commodities trading, the commodities are mostly sold in index funds. This means that the fund is based on the price of a collection of raw materials instead of a specific commodity. 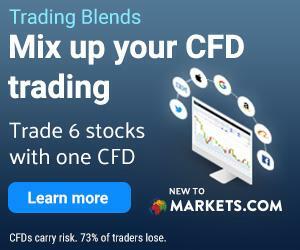 CFDs – CFD stands for Contracts for Difference and is a speculative commodities trading investment form that gives you a rather high chance of winning. A CFD is a contract that you purchase related to an underlying asset rather than buying the asset itself. All CFDs have a built-in leverage, which means you can cash out big with a small investment which is why most people like investing in commodities trading with CFDs. As the leverage increases so does the risk and this means that you could lose a considerable amount of money if things go sideways. As mentioned above, it is a common practice, and it is advisable as well to couple commodities trading with stock trading. It is particularly popular for traders to buy shares in companies that are involved in the commodities trade. The rise in stock prices, in most cases, results in the falling of commodity prices. The same applies to the rise in commodity prices. The stock prices go down. Due to this factor, most traders who sell their stock market shares use the money for commodity trading futures. They then sell their contracts and buy stocks when the market turns around. It is advisable to use a broker when you decide to venture into the commodities trading market. Most of the brokers listed here are ones that we use ourselves and they provide several opportunities to trade in the commodities market. However, before you create an account, figure out which raw commodities you are interested in trading as well as who provides them. You will then know the way forward from there in terms of choosing the broker that suits you. For CFD market speculation we recommend Markets.com, AvaTrade, FxPro or Plus500 (CFD broker). If you prefer to trade with ETF s or futures, we recommend that you take a look at eToro and their comprehensive range instruments and assets. 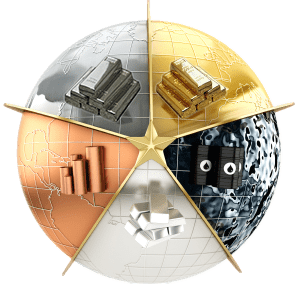 In a nutshell, commodities trading is a rather diverse and vast investment opportunity that can be implemented in quite a number of ways as well as in different markets. Here at Bullmarketz, the preferred investment trading method is with raw materials. We do, however, venture into other forms of investments. All in all, commodity trading is a personal investment choice and investing in markets that you know or prefer could help you make the most out of your venture.